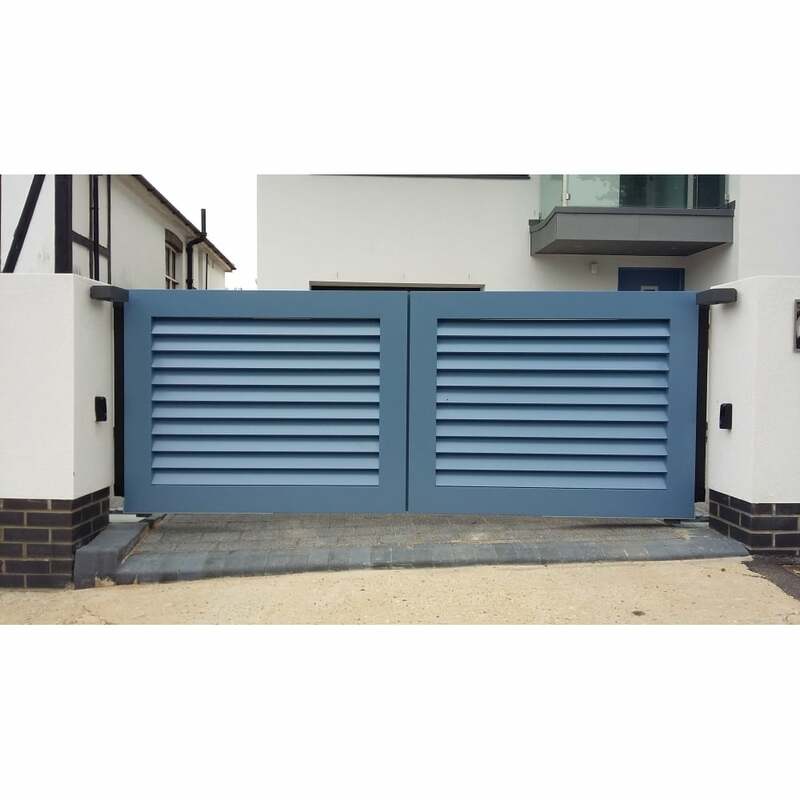 Our Louvered Aluminium Gates. 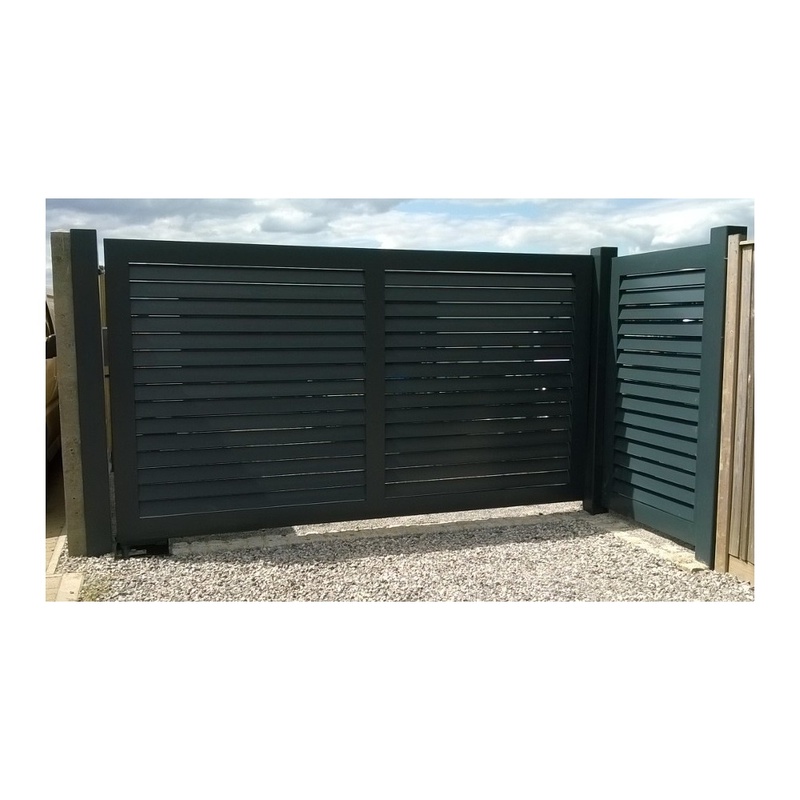 Clean contemporary design and will stay looking this sharp for years to come due to the powder coated finish. 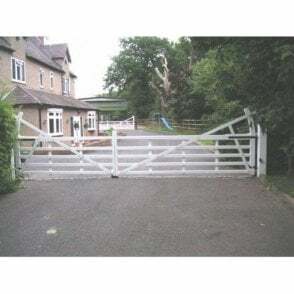 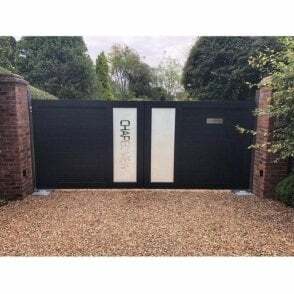 All of our Aluminium gates are made to order, Fully welded construction and a heavy duty frame 140 x 60 x 3.5mm aluminium box. 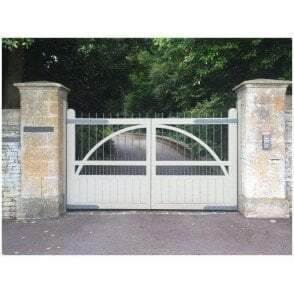 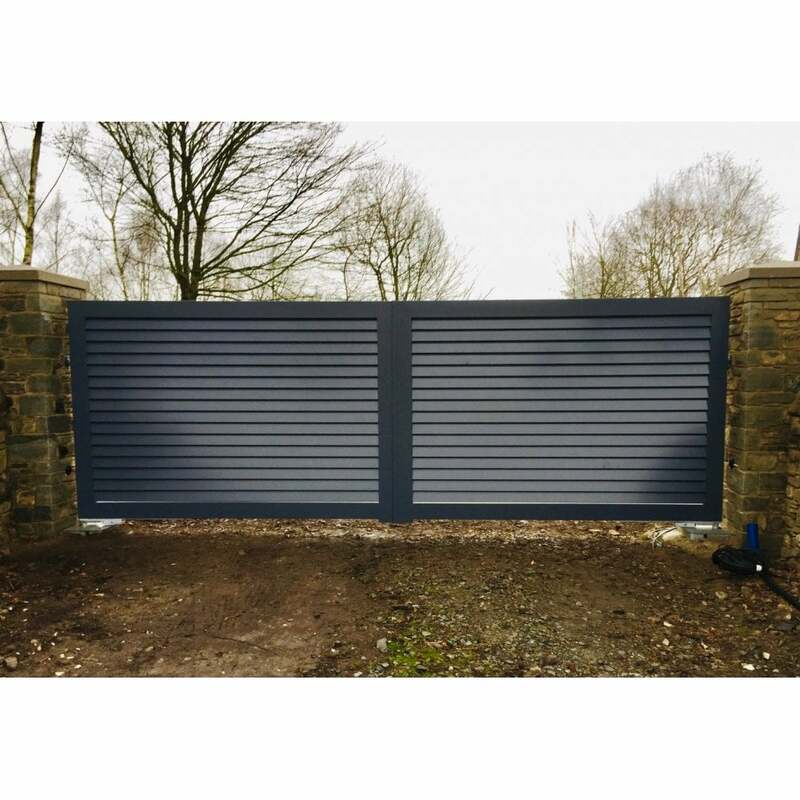 Our gates are made entirely in Aluminium and finished with a tough hardwearing Polyester powder coating. 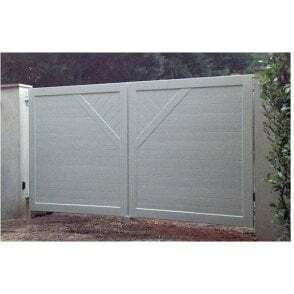 These gates are particularly rigid and will never rot or warp. 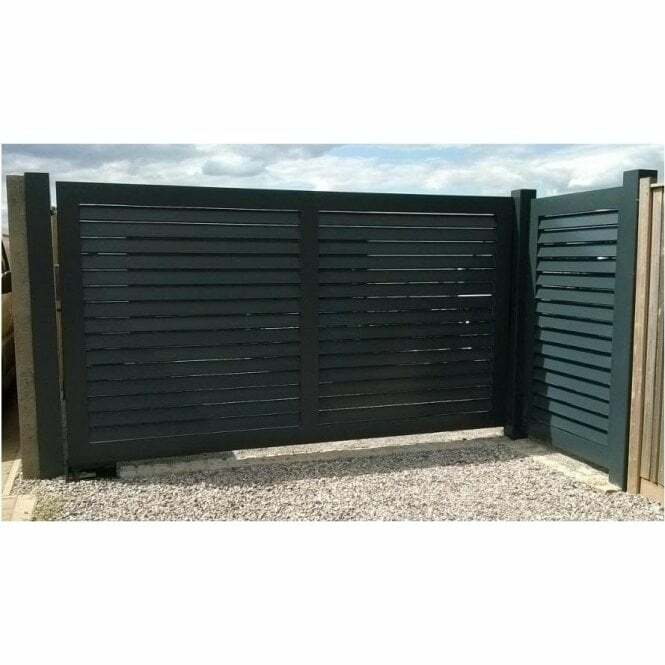 Our frames and boards are stronger than any others we know of and the fully welded design makes them much more rigid and suitable for automating than the usual bolted together designs available on the market. 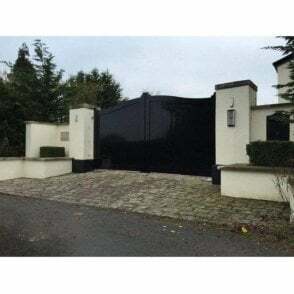 Price based on a 3.6m opening. 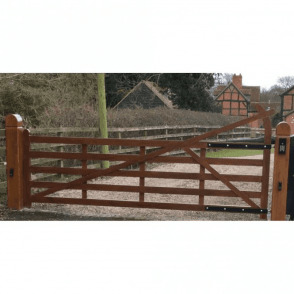 Add £175 to change to sliding and another £225 for the gear rack fitted to the gate.